Staff will need certain access capabilities to add scholarships, please reach out to your district POC if you think you should have this access. 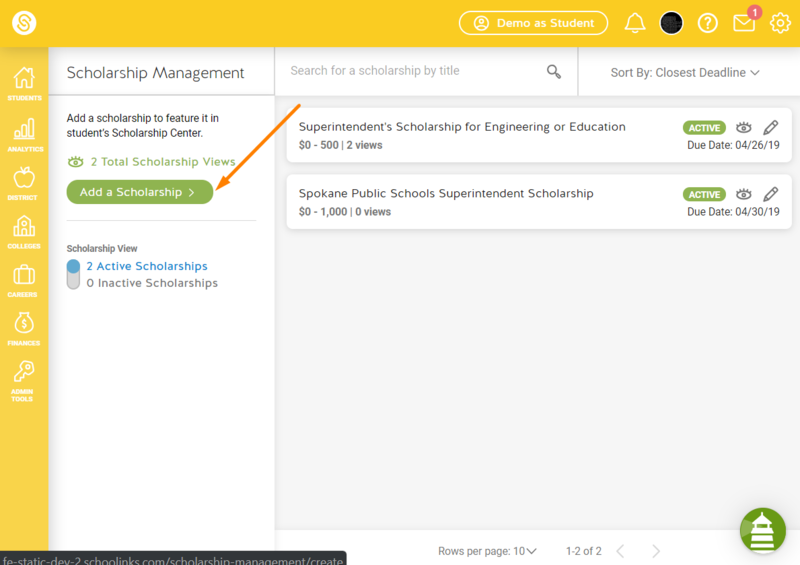 Click the Add a Scholarship button to add a scholarship. Fill in all information about that scholarship, and click Save & List.